Brave, outrageous, crazy, wild and wonderful style is what makes fashion so incandescent and exciting. 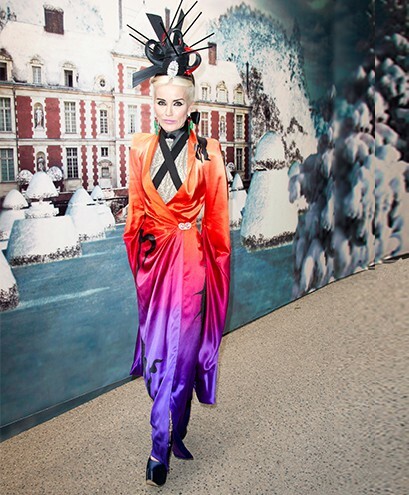 Ask famous femmes from Daphne Guinness to Anna Dello Russo, Russian fashionista Elena Perminova to singer Paloma Faith. All these women dominate the fash pack, and know fashion is about fun, experimentation, colour and craziness. Look to Australian designers to unleash your own fashion imagination with crazy textures, colours, patterns and silhouettes. Any piece can go from dull to extraordinary, it’s all about styling. When choosing an outlandish piece look for feathers, fur, fuzz and frills. Textures create an exciting dimension, elevating your look from chilled-out cool, to eye-catching and elaborate. Jagged, full, asymmetrical silhouettes are another way to play dress ups, in style. Choose high quality fabrics to avoid looking like you’re in fancy dress, and trust skilled designers to ensure a good fit. Patterns are vital to imaginative dress. Anything goes! Animal templates dotted around a blazer? Brilliant! A vibrant painting sprawled across your dress? Fabulous! Keep it fun, and choose a matching top and bottom for all-over pattern fashion, or clash your prints to really cause a stir! Challenge the style status-quo with eccentric accessories. An animal-themed bag, a bizarrely-shaped clutch, or a textured tote all add an extravagant edge to your outfit. 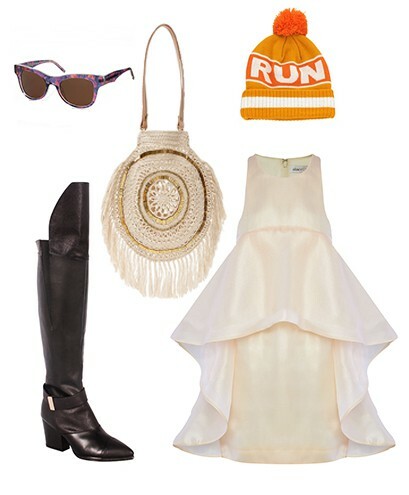 To follow the true outlandish fashion females, top off your look with a bright, fantastic hat. 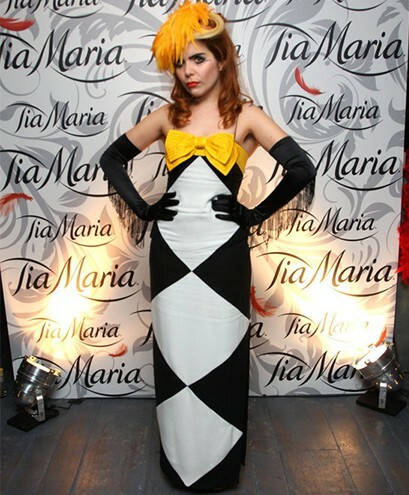 Any shape, size, colour, the hat will create a look to rival your wildest fashion imaginings. 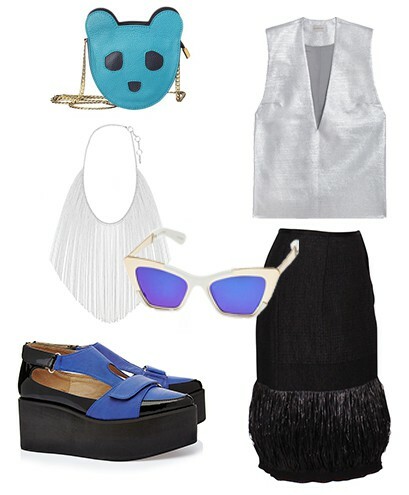 Add vivid shoes or boots, a slightly gaudy necklace and some geometric sunnies, and you’re ready to startle and amaze! For newbies to daily dress-up, start small, with one item at a time. 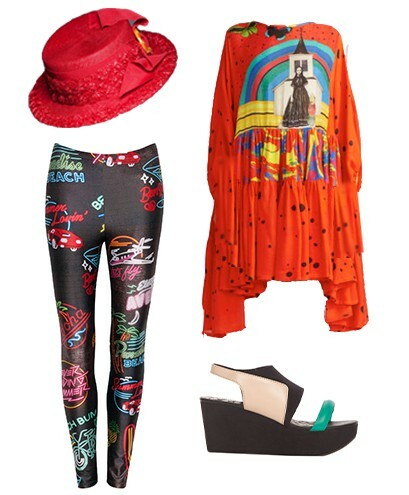 Pick a fuzzy jacket, embellished jeans, a fanciful hat or some garish shoes to begin. You’ll be adding more and more texture, shape and colour to your style in no time. Orson Welles said “Style is knowing who you are, what you want to say, and not giving a damn.” So throw caution to the wind and relish the thrill of playing daily dress-ups in outlandish looks. What eccentric style will you try?